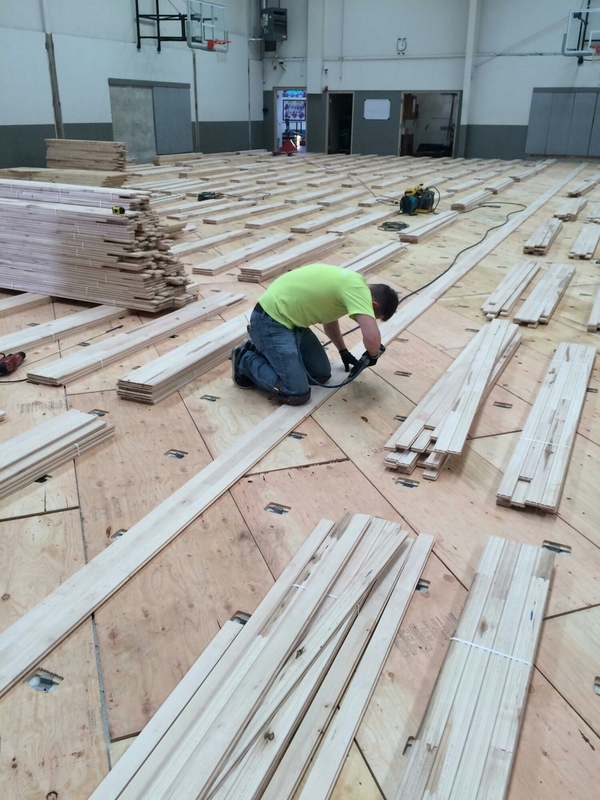 Last week we began to resand Lynden Middle School's gym floor. 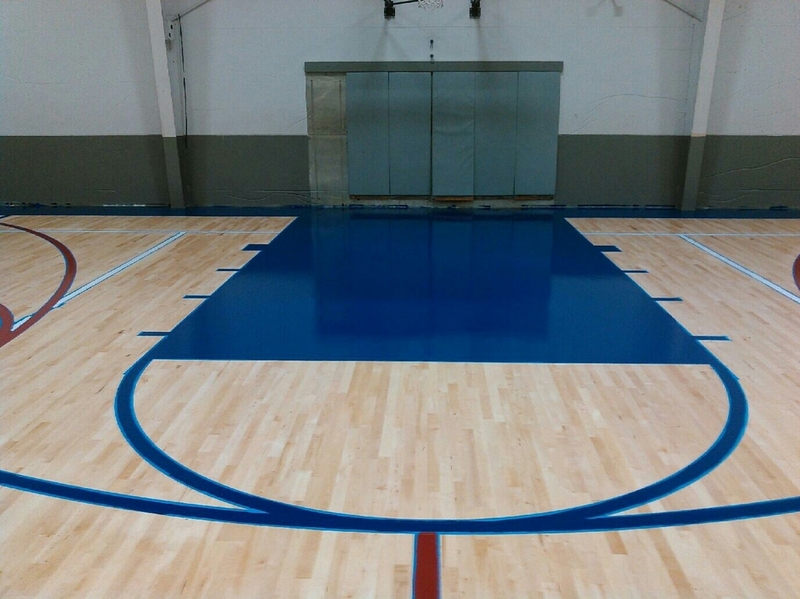 A few weeks ago we installed a new Robbins Sport Surfaces Bio Channel Star at Valley Athletic Club. 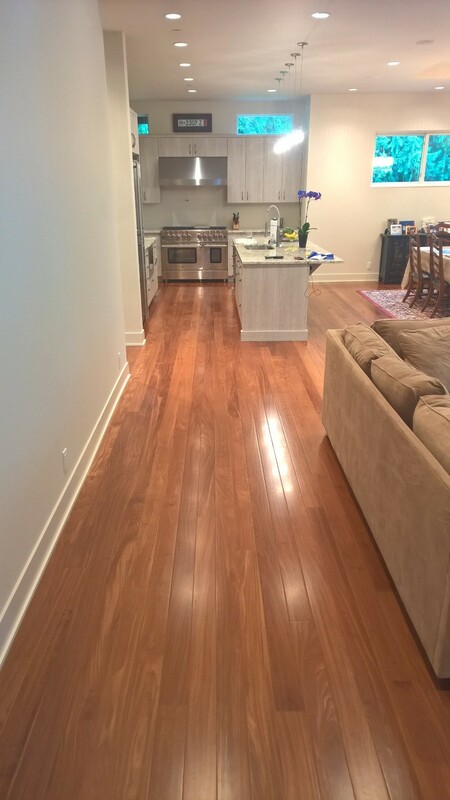 Earlier this year we installed 1/2"x4"x2-12' African Celtis Natural Medium Engineered, Prefinished flooring with matching treads and risers at a home in Kirkland. 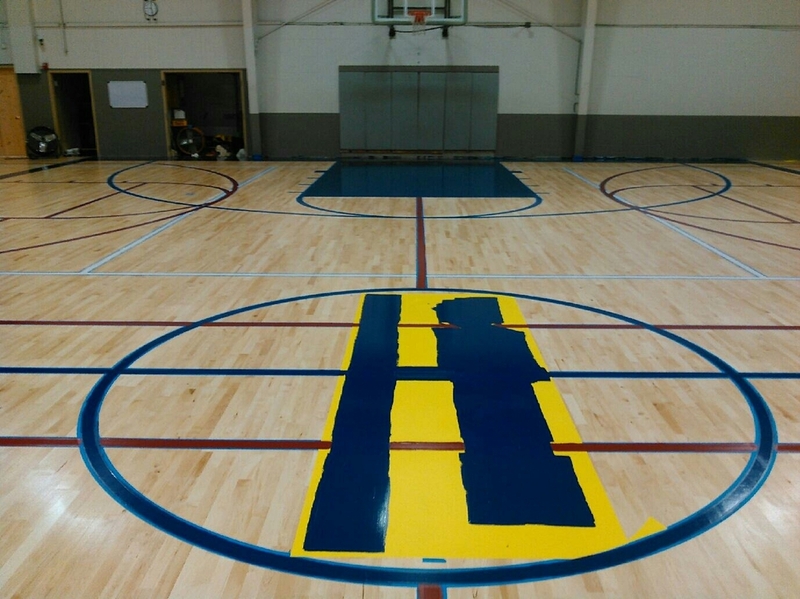 Last week we resanded a basketball court in North Seattle. 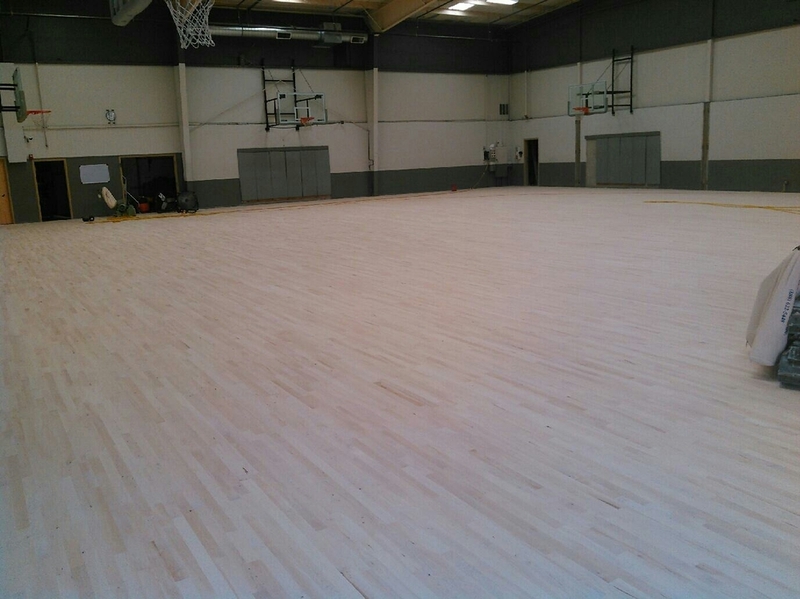 Last week we started the resand of the main gym at Muckleshoot Tribal School. Today we applied dye, next we will be adding gamelines with a new logo. 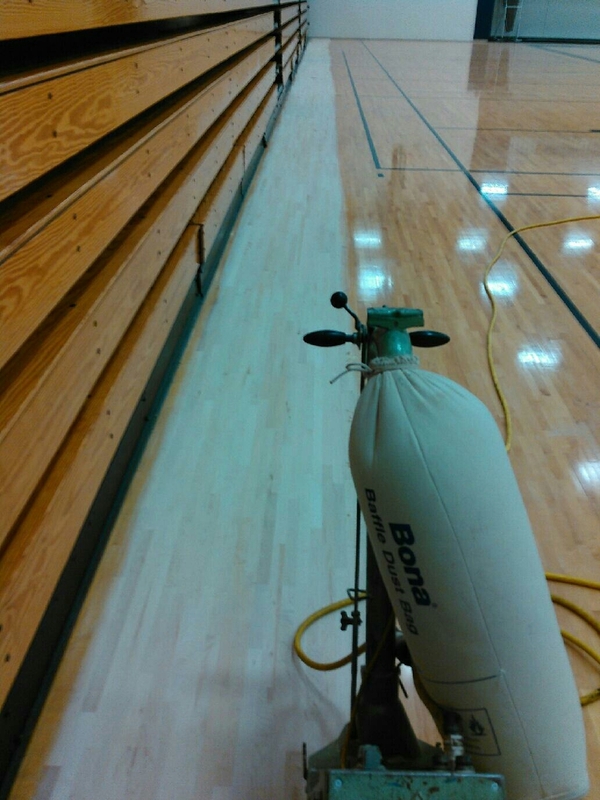 On Saturday we put the final coat of finish on the gym floor. The old finish and gamelines have been sanded off. Now we are ready for new gamelines and new finish. 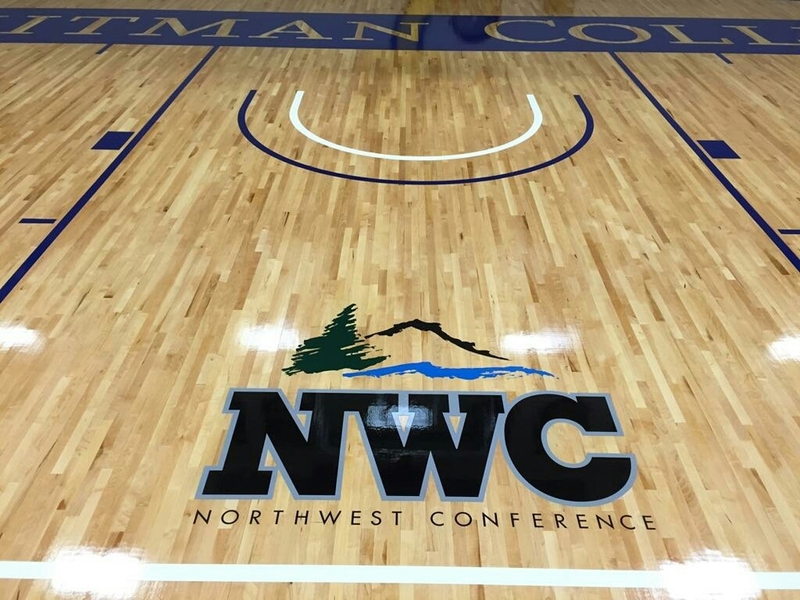 Today the guys started the resand of Whitman College main basketball court. 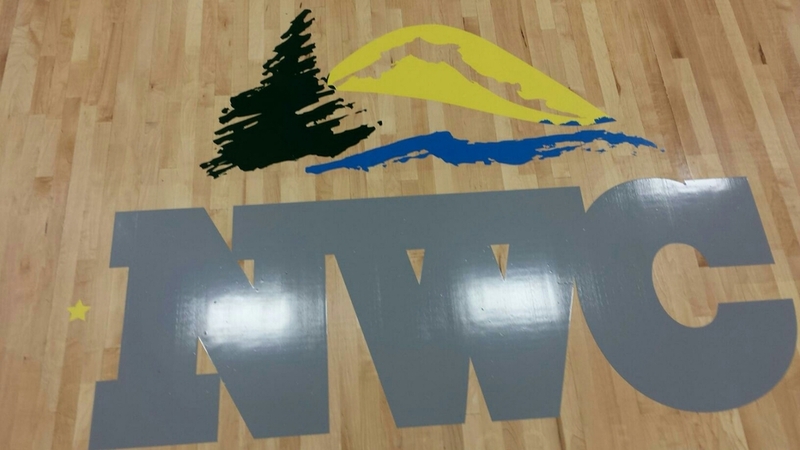 They will be applying new gamelines and a new center court logo. More pictures to come. The time lapse video of the maple install is now posted on our Facebook page. 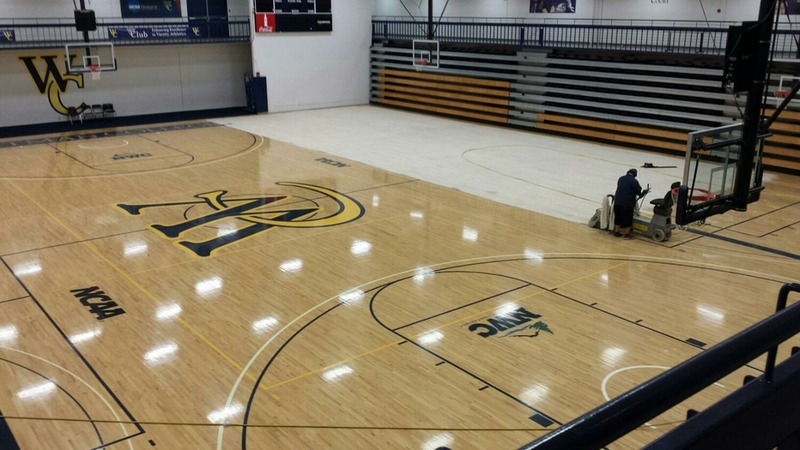 As of Friday we are complete with the new floor at Gonzaga University. We will be posting more pictures and more GoPro videos soon. We want to thank our crews for working hard to make this project successful, as well as their families for allowing them to be out of town each week.